“Silence, Please.” No one expected that such a plain, nondescript phrase would be used by the government of Finland to promote their country. It was in March, 2010 when a group of 100 marketing experts met in Helsinki to brainstorm on how to attract tourists to Finland. Over drinks they discussed the various strengths of their country. The problem was Finland was known as a quiet country. Finland is also known for exceptional teachers, and an abundance of wild berries and mushrooms — not exactly compelling ideas to make a country a world-class tourist destination. Then out of the blue someone said that quiet wasn’t such a bad thing after all. That set them to thinking. A few months later, they came out with a “Country Brand Report.” It highlighted themes that could make Finland a preferred tourist destination. Among other things, it emphasized Finland’s renowned educational system and school of functional design. However, somewhat surprisingly, a brand new theme emerged from the report: silence. “Silence is a resource. In the future, people will be prepared to pay for the experience of silence,” the report stated. 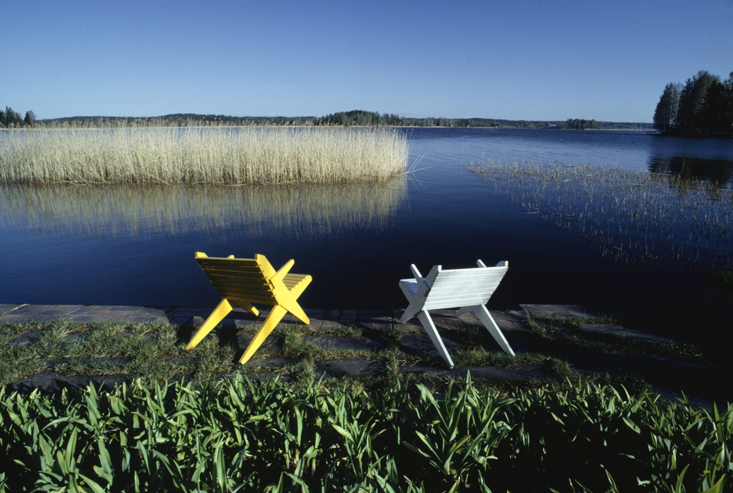 A year later, the Finnish Tourist Board decided to put out a series of photographs of lone figures in Finland’s official travel site, with the caption “Silence, Please.” It is one of the most popular pages, and has proven to be the most popular theme in attracting tourists to Finland. Why are people attracted to silence? Are there tangible effects of silence? In 1859, Florence Nightingale wrote,”Unnecessary noise is the most cruel absence of care that can be inflicted on sick or well.” She observed that noise can be a source of distress, and loss of sleep for recovering patients. Surprisingly, she asserted that sudden noise can be a cause of death among sick children! Was she exaggerating? Research proves that she was right. Chronic noise can cause high blood pressure. Increased levels of noise are linked to sleep loss and heart disease. In 2011, the World Health Organization concluded that 340 million residents of Western Europe annually lost a million years of healthy life because of noise. It also asserted that 3,000 deaths was directly attributed to excessive noise. Silence as a subject of scientific research only began to appear in 2006. Strangely, it was studied only accidentally. Bernardi observed two dozen subjects while they listened to six musical tracks. He found out that the effects of listening to music could be correlated with changes in blood pressure, carbon dioxide and circulation in the brain. It is not surprising that a physiological change is linked to a condition of physical arousal. This made sense since active listening requires alertness and attention. But what surprised him was the drastic effect of the inserted stretches of silence between the musical tracks. The two-minute pauses proved more relaxing than listening to music! Silence, which was considered irrelevant at the start of the research, became the main object of the study. What they concluded, is that silence seemed heightened by contrast, perhaps because it gave the subjects a release from paying attention to the music. “Perhaps the arousal is something that concentrates the mind in one direction, so that when there is nothing more arousing, then you have deeper relaxation,” he says. Ever since Bernardi’s ground-breaking study, other neurological experiments have reinforced Bernardi’s key findings. I think it was Brother Lawrence who said, “It is best not to speak unless one can improve upon the silence”. I’ve always come upon that quote, Senan. Didn’t realize, though, that it came from Brother Lawrence. There are two things that our present society is known for: speed and noise. We seem to be always in a hurry, but not accomplishing anything that is of significance. We are always chattering, yet not really communicating. Our society has become too noisy, so much so that in the 60s we coined the phrase “noise pollution.” Lately, the noise has worsened, even to the point of causing physical illness — high blood pressure, heart disease, ulcers, etc. Silence is imperative not only for our emotional and spiritual health, but also for our physical health as well. May we all learn to slow down from our busy lives and carve periods of silence, so that we can recover and renew ourselves. I’ve just ‘googled’ the quote and it seems to be attributed to many sources so I stand corrected if it is not Brother Lawrence. That said, I still love it as a rule for life. I used to work in hospitals, and of course I’ve spent plenty of time in them with ailing friends and relatives. The chaos there – the constant light, the demands that patients be subject to the medical “routines” and the constant clanking and clanging is terrible. If I had to choose between the quiet and peace of home and that hospital chaos, I think I’d be willing to die a year sooner, just to avoid the hospital horror! Linda, I’ve been chronically ill for the past 12 years, and I’ve been in and out of the hospital for a number of times — I can’t remember how many anymore. Just last year I’ve been hospitalized 3 times! I could confirm your description of what happens in a hospital. One of pet my peeves, by the way, is what you refer to as medical “routines”, a lot of which are unnecessary to my mind. For instance, nurses would usually come to my room every hour, 24/7 to check for vital signs, such as my blood pressure, temperature, etc. I can understand that this needs to be done if you’re in a critical condition. But they do this even if you’ve stabilized. I often ask the doctor to order the nurses to stop doing this, at least at night time, since it prevents me for getting enough sleep and rest. Also, I remember one time being confined in the Intensive Care Unit of the hospital, because I was critically ill. The nurses assigned to the unit kept on chattering the whole night, preventing me from getting a wink of sleep! Unfortunately, I was too weak to complain at that time. I could go on and on about things that happen in a hospital which I think are unnecessary and cause a lot of aggravation to the patient. Instead of helping the patient to have enough space and quiet to recuperate, they make the patient’s condition worse because of all the noise and unnecessary activity. That’s why, as much as possible, I avoid being hospitalized if I can. I cherish silence and think it is greatly underappreciated. In our world we too often treat it as a space that needs to be filled. Seeing your post reminded me of the On Being episode from last year with Gordon Hempton. He says silence is not an absence of sound, but an absence of noise. I agree, Bill. It’s probably because most people try to escape the void that is within them, that is brought about by the consumerism and materialistic values of our society, through incessant noise and activity.